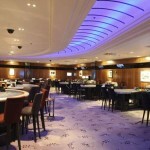 The Colony Club is situated in Mayfair this is one of Gentings premier clubs and does have the feel of a premier location, open 24 hours a day for gaming and the restaurant is open 7.30 pm Until 3 am Monday to Sunday. The Interior was styled by the renowned interior designer Alain Deverini. Echoing the streamlined contours and motifs of an age of romance and sophistication, The Colony’s unique style has been perfectly realised to recreate an effervescent atmosphere with a very contemporary twist. 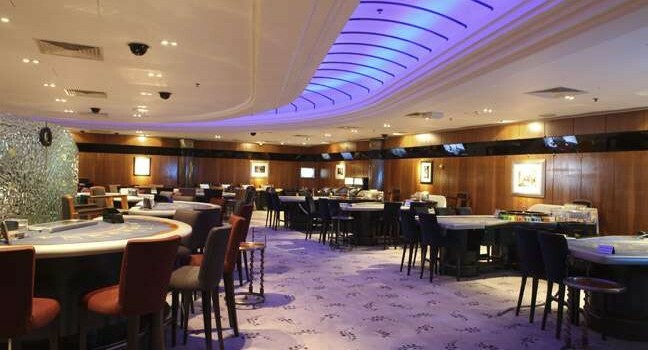 From the gracefully curved bar to minimalist ‘salles privee’ to the sweeping staircase that leads to the restaurant, this is a truly individual and distinctive casino of international standing. The Colony Club is situated at the heart of London’s ‘Golden Triangle’ – historic and glamorous Park Lane. The club is ideally placed for easy access to all of the capital’s finest hotels such as the Dorchester and the Hilton and is a short walk from exclusive shopping areas including Bond Street, Fortnum & Masons and the Burlington Arcade. The Colony Club also boasts an exclusive private gaming area, Intimate, Discreet and also allows access to to a private smoking area. The Colony Club’s new, contemporary bar offers a rare fusion of elegance, ambience, style and luxury. Boasting an exclusive and mouth-watering cocktail menu, The Colony Bar welcomes you to enjoy a bespoke drink service in the heart of Mayfair. The new bar, which includes a secluded VIP area, offers a feeling of cosmopolitan style and luxurious warmth. Curves and elegant finishes are highlighted by warm shell, bone, and mahogany tones which are inviting throughout. 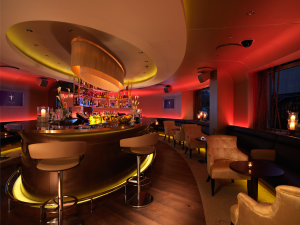 Further enhanced by a new lighting system, which brings seamless finishes to the room, together with enticing mood changes, the bar has multiple facades and a great atmosphere night and day. Run by the newly appointed Riccardo Andreotti, previously at Corrigan and Galvin, the bar has a selection of new cocktails, specially created to not only capture the ambience but to establish the Colony as a one-stop destination in the highly lucrative Mayfair area. 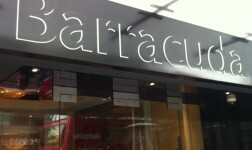 I haven’t had the pleasure of dining in the Colony (as yet) but the menu does look a delight and the choices are amazing, European, Middle Eastern, Oriental and Asian Cuisine, But Also boasting a Teppanyaki Bar. Lets take a closer look at a few of the Cuisine’s on offer. If you are seeking a truly memorable dining experience then look no further than the THE COLONY TEPPANYAKI. you can witness its preparation and presentation before your very eyes on a heated steel plate. freshly made Sushi & Sashimi and Japanese appetizers.